Austria's vice-chancellor has called for EU member states to discuss reform of free movement ahead of his country taking over the bloc's rotating presidency. Heinz-Christian Strache, who leads the eurosceptic and far-right Freedom Party, questioned whether the EU rule allowing citizens to live and work in any other member state was "smart". Considered one of the "four freedoms" of the EU, the free movement of people is a right fiercely guarded by EU officials as indivisible from membership of the bloc or its single market.The UK government's decision to quit the EU's single market after Brexit stems from Brussels' insistence that membership must be accompanied by continued adherence to free movement rules, with immigration a large part of the 2016 EU referendum campaign.Mr Strache, whose party are the junior members of Austria's coalition government, highlighted how workers in ex-communist states in eastern Europe had moved to western Europe since their countries joined the EU. As reported by the Austria Press Agency, he said: "We must discuss openly that it is not good for European development to strip away the entire intellectual, well-trained potential of eastern Europe for western Europe. "If I see that this on one hand isn't beneficial for eastern European countries, but on the other hand also leads to a displacement process here... then those are areas where we should discuss whether this is a smart rule, or whether we shouldn't consider at least in part finding adjustments to do this better in everyone's interest. "Other EU member states have previously voiced concern about free movement rules, while former prime minister David Cameron was reported to have made a last-ditch plea to German Chancellor Angela Merkel for reform in the days before the Brexit vote.Fellow ex-prime minister Tony Blair, who has previously branded Brexit a "catastrophe", recently suggested "comprehensive" EU immigration reforms could see the UK reverse its decision to leave the bloc. 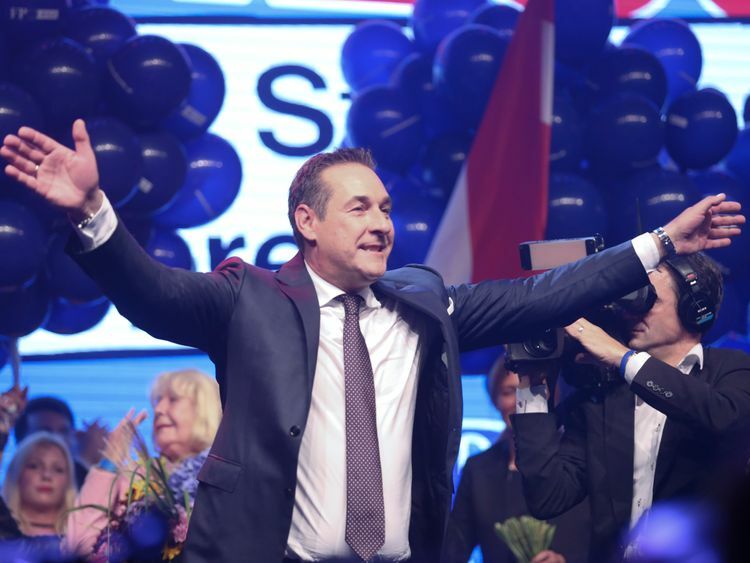 The Freedom Party's success at elections last year saw Austria become the only western European country with a far-right party in government.Austria will take on the EU's rotating presidency for a six-month term from July. » British PM says UK to allow free movement with EU during Brexit "implementation phase"